Kristin Jacob focuses on the training and development of horse and rider for competition on the “A/AA” Hunter/Jumper circuit. 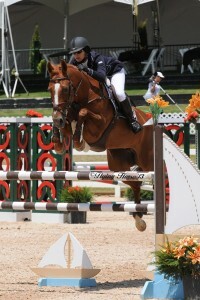 Horses are Kristin’s greatest passion, and from an early age she has competed on the Hunter/Jumper circuit through the Grand Prix level on the West Coast. She has won ribbons, show championships, and circuit championships at prestigious horse shows across the country including the Colorado Summer Circuit, HITS Thermal, HITS Arizona, and the National Horse Show, and has piloted and coached multiple horses and riders to USEF Horse of the Year and CHJA Year-End awards and championships. Kristin is a USHJA Trainer Certification Program certified trainer. 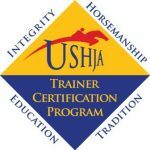 The unique Blue Star Farms program that Kristin has developed focuses on fostering a willing partnership between horse and rider, with emphasis on good horsemanship and the fundamental elements of the American Forward Riding System. It is Kristin’s goal to methodically build confidence, trust, and communication between horse and rider. Although Kristin’s riders enjoy considerable show ring success, they additionally enjoy rewarding relationships with their horses outside the show ring because of the importance she places on educating her riders in horse care, horse welfare, and horse handling. As a dedicated student of the horse, Kristin takes every opportunity to improve her own riding and horsemanship skills. Kristin works closely with Helen Gould of Blue Cloud Farms along with several other top Hunter/Jumper professionals who have imparted to her their knowledge and experience at the higher levels of the sport throughout the years. Kristin has also worked closely with exceptional horsewoman Mindy Bower who introduced her to the style of horsemanship made popular by Buck Brannaman. Kristin is open to working with any horse and rider but especially welcomes those who have ambitions to compete on the “A/AA” Hunter/Jumper circuit. Kristin’s academic education includes a B.S. degree in Geology from Sonoma State University and a Ph.D. in Geology from the University of Colorado, Boulder.